Several days later, I set out to see the exclusive neighborhood in suburban Doha where some of the Taliban live. But as I tried to turn onto a palm-shaded street, a guard in uniform stopped me and demanded to see my ID and a residency permit. I turned back. In all my years of reporting on the Taliban, I’ve never been as stonewalled as I was by the officials who staff the Afghan insurgency’s “political office” in Qatar. They make no effort to disguise themselves or their identities. Even on the streets of Doha, a city filled with throngs of expats from all over the world, the Taliban’s long beards, turbans and traditional Afghan clothing stand out. Just don’t expect to get answers from these guys. They don’t like nosy strangers. These emissaries haven’t done much to earn their special treatment. A mutually acceptable peace plan is still no more than a distant fantasy. Although Taliban insiders and senior Afghan officials say the two sides are getting close to beginning formal talks, no date has been set. So far, the Qatar contingent can point to only one achievement of consequence: the swap that freed five senior Guantanamo prisoners last May in exchange for Bowe Bergdahl, a captured American soldier. Bergdahl remains on active duty while the Army decides whether to court-martial him on charges of desertion. 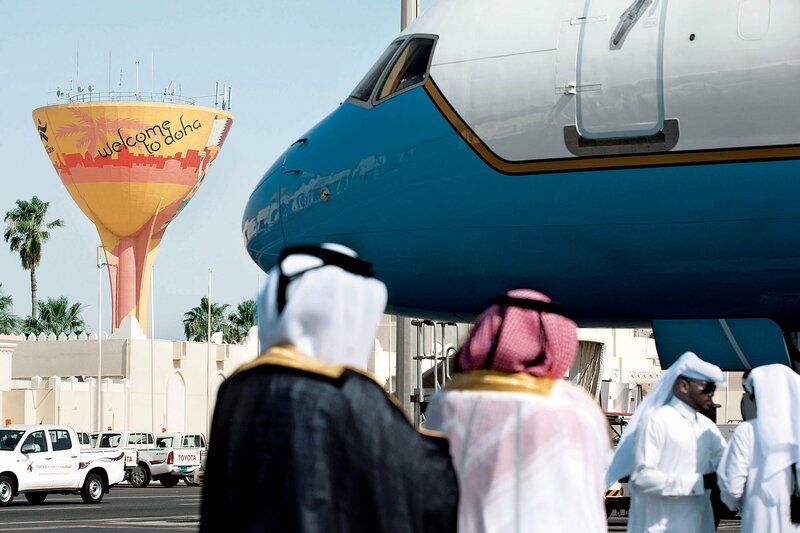 Meanwhile, the Guantanamo Five are in Qatar, at Washington’s behest. Under the terms of their release, they’re barred from leaving the country until a year has passed. Not that they have anyplace else to go; neither Pakistan nor Afghanistan wants them, fearing they will return to the battlefield. The emir has every reason to keep them as comfortable as possible. By accepting custody of the former Guantanamo inmates, he solved a sticky problem for the Americans and earned valuable diplomatic points in Washington. At the same time, he wants Islamists in Qatar and the rest of the Arab world to see him as sympathetic to the Taliban. Accordingly, the Guantanamo Five are also getting the royal treatment. In fact, to help them feel less homesick, each one has been allowed to bring in five other Taliban families for assistance and companionship. 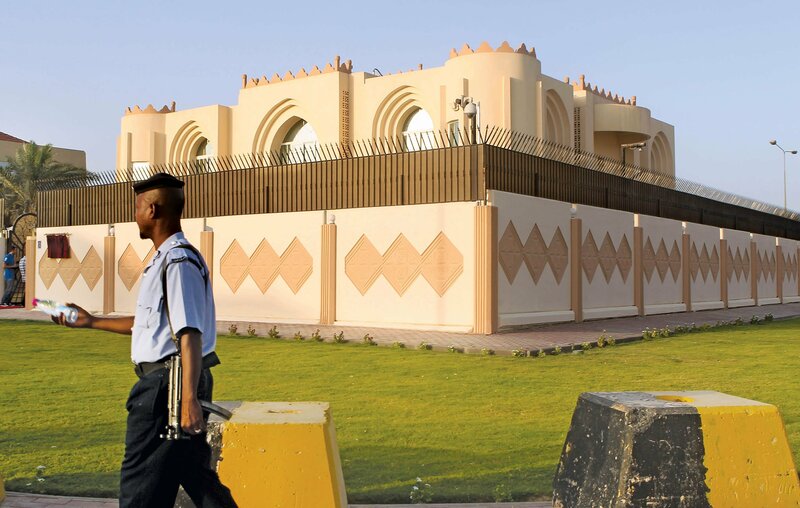 As of a few weeks ago, there were said to be 35 Taliban households linked to the former prisoners in and around Doha, with more expected to arrive soon. Despite such enviable accommodations, not all of the former Guantanamo inmates seem happy. Reports are circulating among senior Taliban commanders that at least two of them are eager to leave Qatar and return to the war zone. The reunion could get ugly. One of the reputed malcontents, Mullah Fazl Akhund, was head of the Taliban regime’s army until his capture during the 2001 U.S.-led invasion. Senior Taliban members say he’s convinced he should lead the insurgency. He regards Mullah Akhtar Muhammad Mansour, the current chief of the group’s ruling council, as a usurper. One senior commander says members of Mansour’s circle, trying to head off a power struggle, have warned Western intelligence that Fazl is likely to join ISIS if he’s allowed to leave Qatar. Mullah Abdul, a 30-year-old fighter from Kunduz province, is similarly disgusted. “If they can’t get anything done at that office in Qatar, they should come back and live here like the rest of us,” he says. Even in the desert heat of Doha, the Taliban’s would-be peacemakers must surely find that prospect chilling.